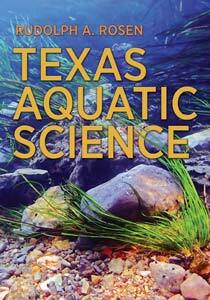 Terms used in Texas Aquatic Ecosystems Science. Click on a letter and scroll down to find a term. Abiotic—nonliving; not derived from living organisms; inorganic. Acid rain—rain or other precipitation containing a high amount of acidity. Acre-feet—a unit volume used to describe large water resources; an acre-foot is equal to the volume of water it would take to cover an acre to a depth of one foot. Adaptation—a behavior or physical trait that evolved by natural selection and increases an organism’s ability to survive and reproduce in a specific environment. Aeration—The process of exposing water to air, allowing air and water to mix and water to absorb the gasses in air. Aerobic—occurring or living in the presence of oxygen. Aerobic decomposition—the decomposition of organic matter in the presence of oxygen; decomposition by bacteria that require oxygen. Algae—a group of aquatic organisms ranging from single cell to multicellular that generally possess chlorophyll and are photosynthetic, but that lack true roots, stems and leaves characteristic of terrestrial plants. Algae bloom—a rapid increase in the population and biomass of algae (phytoplankton) in an aquatic system. Anaerobic—occurring or living in the absence of oxygen. Angler—a person who fishes using a rod, reel, hook, and line. Aphotic zone—the deep part of a lake which doesn’t receive enough light to support photosynthesis. Aquatic ecosystem—a community of organisms together with their physical environment organized around a body of water. Aquatic organism—any living thing that is part of an ecosystem in water. Aquatic resource—water and all things that live in or around water. Aquifer—an underground reservoir of water that rests in a layer of sand, gravel, or rock that holds the water in pores or crevices. Arid—regions of the country characterized by a severe lack of water hindering or preventing the growth and development of plant and animal life. Artesian aquifer—a confined aquifer containing groundwater under pressure. Atmosphere—the gaseous envelope surrounding the Earth; the air. Bacteria—a very large group of microorganisms that are called prokaryotic because their cells lack a nucleus and many other organelles, such as mitochondria. Barrier island—a long narrow island of sand that runs parallel to the mainland. Bay—a body of water partially enclosed by land that is directly open or connected to the ocean. Behavioral trait—how an organism acts and reacts in response to its environment, distinguishing one individual or species from another. Behaviors may be inherited or learned, examples are courtship dances in birds and sounds made by many animals. Benthic community, benthos—the community of organisms that live on or in the floor of a body of water, including rivers, lakes, estuaries, and oceans. Benthic macroinvertebrates—invertebrates visible without the aid of a microscope that live on or in the bottom substrate. Benthic zone—the bottom substrate of aquatic ecosystems. Biodiversity—the number and variety of living things in an environment. Biofilter—living material or an organism that captures and biologically degrades pollutants. Biosphere—the part of the world in which life can exist; living organisms and their environment. Biotic—of or having to do with life or living organisms; organic. Bottomland hardwoods—wetlands found along rivers and streams of the southeast and south central United States where the streams or rivers at least occasionally flood beyond their channels into hardwood forested floodplains. Brackish water—water that has more salinity than freshwater, but not as much as saltwater; often a result of mixing of freshwater and saltwater in estuaries. Buffer—to serve as a protective barrier to reduce or absorb the impact of other influences; something that buffers. Carnivores—animals that kill and eat other animals. Cartilaginous fish—fish with skeletons made of cartilage (a tough, flexible tissue, which is softer than bone) rather than bone; sharks and rays. Carrying capacity—an ecosystem’s resource limit; the maximum number of individuals in a population that the ecosystem can support. Cetaceans—marine mammals known as whales, dolphins, and porpoises. Channel—the part of the stream where water collects to flow downstream, including the streambed, gravel bars and stream banks; also, a dredged passageway within a coastal bay that allows maritime navigation. Channelize—create an artificial channel through which a stream or river flows using engineered structures to straighten a stream and eliminate its natural tendency to meander. Chemoreceptors—cells that can be scattered along the outside surface of fish that function as taste receptors. Chemosynthetic organisms—organisms in dark regions of the ocean that get energy for production and growth from chemical reactions, such as the oxidation of substances such as hydrogen sulfide or ammonia, as opposed to using energy from sunlight and photosynthesis. Chlorophyll—a green pigment found in algae, plants and other organisms that carry on photosynthesis; enables plants to absorb energy from light. Ciénegas—a type of spring-fed wetland that occurs on the desert floor. Clean Water Act—primary federal law in the United States governing water pollution, first passed by Congress in 1972. Coastal basin—these basins include the areas of coastal plains, peninsulas and islands that lie adjacent to and between the main river basins for which the coastal basin is named. Cold seep, cold vent—a place where hydrogen sulfide, methane, or other hydrocarbon-rich fluid seeps from the ocean floor. Collector—an aquatic invertebrate that feeds on fine material; examples include caddis fly larvae and mayfly nymphs. Community—a group of plants and animals living and interacting with one another in a particular place. Community Fishing Lake—in Texas, public lakes 75 acres or smaller located totally within a city, in a public park, or within the boundaries of a state park. Compete—the act of actively seeking after and using an environmental resource (such as food) in limited supply by two or more plants or animals or kinds of plants or animals. Condense—to change a gas or vapor to liquid. Confined aquifer—an underground reservoir of water contained within saturated layers of pervious rock material bounded above and below by largely impervious rocks. Conservation; to conserve—the wise use of natural resources such that their use is sustainable long term; includes protection, preservation, management, restoration and harvest of natural resources; prevents exploitation, pollution, destruction, neglect and waste of natural resources. Consumer—an organism that feeds on other organisms in a food chain. Contaminants—impurities, including pollution or pollutants, in a substance such as water; harmful substances in water that can make it unfit for drinking or for supporting aquatic resources. Current—the part of a body of water continuously moving in a certain direction. Dam—a barrier or structure, natural or made by humans or animals, that is places across a stream or river to hold water back from flowing downstream. Decompose—to decay or rot; to break down or separate into smaller or simpler components. Decomposer—an organism such as a bacterium or fungus that feeds on and breaks down dead plant or animal matter, making essential components available to plants and other organisms in the ecosystem. Decomposition—the process of decaying or rotting; breaking down or separating a substance into smaller or simpler components. Delta; river delta—a low-lying landform created by the deposition of sediment carried by a river where it flows into an ocean, lake, or reservoir; often forming a wetlands in freshwater and an estuary in saltwater. Denitrifying bacteria—microorganisms whose action results in the conversion of nitrates in soil to free atmospheric nitrogen. Detritus—loose material that results from natural breakdown; material in the early stages of decay. Diatom—a type of algae encased within a cell wall made of silica; most are single-cell, but many can form colonies. Dissolved oxygen—oxygen gas absorbed by and mixed into water. Dredging—an excavation or digging activity carried out at least partly underwater in shallow water areas to move bottom materials from one place to another; often used to keep waterways deep enough for boat passage. Drought—an extended period of below normal rainfall or other deficiency in water supply. Dual doctrine—two principles or bodies of principles covering the same matter. Ebb tide—the outgoing or receding tide. Echinoderm—radially symmetrical animal, where the body is like a hub with arms or spines coming out of it; all have rough skin or spines; found only in marine waters; common examples are starfish, sea urchin, and sand dollar. Echolocation—biological sonar used by several kinds of animals where the animal makes sounds and listens to the echoes of those sounds that return from bouncing off objects near them. These echoes can be used to locate and identify prey and objects, and be used in navigating through their environment. Bats, whales and dolphins are examples of animals that echolocate. Ecology—study of the relationships living organisms have with each other and with their environment. Ecosystem—a community of organisms together with their physical environment and the relationships between them. Ecosystem services—resources and processes that are supplied by ecosystems, generally grouped into four broad categories: provisioning, such as the production of food and water; regulating, such as the control of climate and disease; supporting, such as nutrient cycles and crop pollination; and cultural, such as spiritual and recreational benefits. Ectotherm—organisms that have internal body temperatures at or near the same temperature as the environment in which it lives; internal physiological sources of heat are relatively small and not sufficient to control body temperature. Energy pyramid—a graphical representation designed to show the relationship between energy and trophic levels of a given ecosystem. Environmental flow—an amount of freshwater left in a river, estuary, or other water body adequate to support an ecologically sound aquatic environment. Ephemeral stream—a stream that flows, dries up and flows again at different times of the year. Epilimnion—warm surface waters of a lake. Erosion—the wearing away of land surface materials, especially rocks, sediments, and soils, by the action of water, wind, or ice; usually includes the movement of such materials from their original location. Estuary—a partly enclosed body of water along the coast where one or more streams or rivers enter and mix freshwater with saltwater. Ethical—following the rules of good conduct governing behavior of an individual or group following the rules of good conduct governing behavior of an individual or group. Euphotic zone—the the upper layer of water in a lake or ocean that is exposed to sufficient sunlight for photosynthesis to occur; also called the photic zone. Eutrophication—excessive nutrient input in a body of water that causes excessive plant and algae growth. Evaporation—to change from a liquid state into vapor. Exoskeleton—the external skeleton or covering that supports and protects an animal’s body. Extinction—the end of a species. Fault—a fracture or crack in rock in the land surface, across which there has been significant displacement along the fracture as a result of Earth movement. Filter feeder—an aquatic animal, such as an oyster and some species of fish, that feed by filtering tiny organisms or fine particles of organic matter from water that passes through it. Fin—a wing- or paddle-like part of a fish used for propelling, steering, or balancing in the water. First-order stream—a small stream with no tributaries coming into it. Flood tide—the incoming or rising tide. Floodplain—the flat land on both sides of a stream, into which the stream’s extra water spreads during a flood. Food chain—a series of plants and animals linked by their feeding relationships and showing the transfer of food energy from one organism to another. Food web—many interconnected food chains within an ecological community. Freshwater—water with a salt content lower than about 0.05%; for comparison, sea water has a salt content of about 3.5%. Freshwater inflow—less saline water that flows downstream in streams and rivers, or as runoff, that enters estuaries and bays. Fungi—members of a large group of organisms that include microorganisms such as yeasts and molds, as well as mushrooms; classified separate from plants, animals, and bacteria. Geosphere—the solid part of the Earth consisting of the crust and outer mantle. Gill—a respiratory organ that enables aquatic animals to take oxygen from water and to excrete carbon dioxide. Grazer—an aquatic invertebrate such as a snail or water penny that eats aquatic plants, especially algae growing on surfaces. Groundwater—water that flows or collects beneath the Earth’s surface in saturated soil or aquifers. Habitat—the natural environment in which an organism normally lives, including the surroundings and other physical conditions needed to sustain it. Halophyte—a plant that grows in waters of high salinity. Headwaters—the high ground where precipitation first collects and flows downhill in tiny trickles too small to create a permanent channel; where spring water flows from an aquifer and starts streams. Herbivore—an animal that eats plants. Hydrologic cycle—the natural process of evaporation and condensation, driven by solar energy and gravity, that distributes the Earth’s water as it evaporates from bodies of water, condenses, precipitates and returns to those bodies of water. Hydrosphere—all of the Earth’s water, including surface water, groundwater, and water vapor. Hypersaline—water with salt levels surpassing that of normal ocean water ( more than 3.5% salts). Hypolimnion—the cold dense bottom waters of a lake. Hypoxia —the condition in water where dissolved oxygen is less than 2-3 milligrams per liter. Hypoxic zone—an area in which the water contains low or no dissolved oxygen causing a condition known as hypoxia. Impervious—not permitting penetration or passage; impenetrable. Impoundment; impound—reservoirs created in river valleys by placement of a dam across the river. Indicator species—a species that defines a trait or characteristic of the environment, including an environmental condition such as pollution or a disease outbreak. Inorganic—composed of matter that does not come from plants or animals either dead or alive; abiotic. Intermittent stream—a stream that flows, dries up and flows again at different times of the year. Invasive species—a species that has been introduced by human action to a location where it did not previously occur naturally, and has become capable of establishing a breeding population in the new location without further intervention by humans and has spread widely throughout the new location and competes with native species. Invertebrate—any animal without a spinal column; for example, insects, worms, mollusks and crustaceans. Irrigation—the application of water to the land or soil to assist in the growing of agricultural crops, watering of lawns, and promoting plant growth in dry areas and during periods of inadequate rainfall. Karst aquifer—an underground reservoir of water contained in limestone and marble rocks that are filled with numerous small channels and, in some cases, large underground caverns and streams. Lagoon—a body of saltwater separated from the ocean by a coral reef, sandbar, or barrier island. Lake—a large body of standing water. Larva—the newly hatched form of many fish, insects, or other organisms that have a distinct separate life stage before metamorphosis, or change, into adults; wingless, often wormlike form of many insects before metamorphosis that have no wings and cannot reproduce. Lateral line—an organ running lengthwise down the sides of fish, used for detecting vibrations and pressure changes. Lentic—water that is not flowing; a pond or lake. Limestone—a sedimentary rock composed largely of calcium carbonate; often composed from skeletal fragments of marine organisms such as coral. Limestone is slightly soluble in water and weak acid solutions which leads to karst landscapes, in which water erodes the limestone over millions of years creating underground cave systems. Limnetic zone—the part of a lake that is too deep to support rooted aquatic plants. Littoral zone—the part of a lake that is shallow enough to support rooted aquatic plants. Macroinvertebrate—an invertebrate large enough to be seen without the use of a microscope. Mainland—a large land mass, located near smaller land masses such as islands. Marble—a hard crystalline metamorphic form of limestone rock. Marsh—a wetland dominated by reeds and other grass-like plants. Metamorphosis—The process of transformation from an immature form to an adult form in two or more distinct stages. For insects, complete metamorphosis is where there is little resemblance between the larva and adult; incomplete metamorphosis is where larva resemble the adult. Microorganism—very tiny organisms, such as one-celled bacteria and fungi, that can only be seen using a microscope. Migratory; migration; to migrate—the regular seasonal journey undertaken by many species of birds. Milt—the seminal fluid containing sperm of male fish and aquatic mollusks that reproduce by releasing this fluid onto nests containing eggs or into water containing eggs. Mussel—a mollusk that attach to objects or to each other, often in dense clusters, and has two shells that close on each other, similar to a clam. Natural physiographic region—pertaining to physical geography and natural features; relating to the surface features of terrain and habitats. Natural selection—the natural process in which those organisms best adapted to the conditions under which they live survive and poorly adapted forms are eliminated. Natural resource—something that is found in nature that is useful to humans. Neotropical migratory bird—a bird that breeds in Canada or the United States during the summer and spends the winter in Mexico, Central America, South America or the Caribbean islands. Niche—the function, position or role of a species within an ecosystem. Nitrates—a salt of nitric acid; produced for use as fertilizers in agriculture. The main nitrates are ammonium, sodium, potassium, and calcium salts. Nymph—the juvenile stage of development of certain insects; nymphs look generally like the adult except they are smaller, have no wings and cannot reproduce. Non-point source water pollution—water pollution that comes from a combination of many sources rather than a single outlet. Nonindigenous species—an organism that has been introduced to an area to which it is not native; exotic or non-native. Nutrient—a chemical that an organism needs to live and grow that is taken from the environment; it can be an organic or inorganic compound. Ocean Basin—large depression below sea level containing salt water. Omnivores—animals that eat both plants and animals. Organic matter—material that comes from plants or animals either dead or alive that is capable of decay; important in the transfer of nutrients from land to water. Osmoregulation—a physiological adaptation of many organisms that allows them to regulate their intake of salts or fresh water to keep their fluids, such as blood, from becoming too salty or too dilute. Oxbow lake—crescent-shaped lake formed when a bend of a stream is cut off from the main channel. Parasite—an organism that lives on or in the living body of another species, known as the host, from which it obtains nutrients. Pelagic fish—fish that live near the surface or in the water column that almost constantly move about; not associated with the bottom. Perennial stream—a stream that flows for most or all of the year. Periphyton—a complex mixture of algae, detritus, bacteria, and microbes that are attached to submerged objects in most aquatic ecosystems. Permeable—having pores or openings that permit liquids or gases to pass through. Photic zone—the upper part of a lake where enough light penetrates the water to allow photosynthesis to occur. Photosynthesis—a process used by plants, algae, and many species of bacteria to convert energy captured from the sun into chemical energy that can be used to fuel the organism’s activities; photosynthesis uses carbon dioxide and water, releasing oxygen as a waste product; sugars or carbohydrates are a byproduct of photosynthesis. Physiographic—pertaining to physical geography; relating to the surface features of terrain. Phytoplankton—algae and plant plankton, including single-celled protozoans and bacteria. Plankton—microscopic free-floating living organisms not attached to the bottom or able to swim effectively against most currents. Playa lake—round hollows in the ground in the Southern High Plains of the United States that fill with water when it rains forming shallow temporary lakes or wetlands. Point source pollution—water pollution that comes from a single source or outlet. Pollutant—a substance that contaminates the water, air, or soil. Pollution; to pollute—the contamination of air, water, or soil by substances that are harmful to living organisms, especially environmental contamination with man-made waste or chemicals; also the harmful substances themselves. Polychaetes—marine worms, where each body segment has a pair of protrusions called parapodia that bear bristles made of chitin; sometimes called bristle worms. Pond—a body of standing water small enough that sunlight can reach the bottom across the entire diameter. Pond succession—the natural process by which sediment and organic material gradually replace the water volume of a pond ultimately resulting in the area becoming dry land. Pool—part of a stream where the water slows down, often with water deeper than the surrounding areas, which is usable by fish for resting and cover. Population—a group of individuals of the same species occupying a specific area. Precipitation—a form of water such as rain, snow or sleet that condenses from the atmosphere and falls to Earth’s surface. Predator—an animal that lives by capturing and eating other animals. Prey—an animal that is eaten by a predator. Primary Consumer—an animal that eats plants; an herbivore. Producer, primary producer—an organism that is able to produce its own food from non-living materials, and which serves as a food source for other organisms in a food chain; green plants, algae, and chemosynthetic organisms. Protozoa—a group of microscopic single celled organisms that are called eukaryotic because their cells are organized into complex structures by internal membranes, the most characteristic of which is the nucleus. Rapid—an area of very turbulent flow; a part of a stream where the current is moving at much higher velocities than in surrounding areas and the surface water is greatly disturbed by obstructions that reach above the surface, or nearly so. Recharge—water that soaks into and refills an aquifer. Resacas—former channels of the Rio Grande River that have been cut off from the river, that have filled in with silt and water creating shallow marshes and ponds. Reservoir—an artificial or natural lake built by placing a dam across a stream or river and used to store and often regulate discharge of water; underground storage area of water, such as in an aquifer. Riffle—a relatively shallow part of a stream in which the water flows faster and the water surface is broken into waves by obstructions that are completely or partially underwater. Riparian vegetation—the plant community next to the stream, starting at the water’s edge and extending up the bank and beyond on either side of the stream. Riparian zone—land next to the stream, starting at the top of the bank and containing vegetation on either side. River basin—a drainage area, generally made up of many smaller units called watersheds; area of land drained to form a river. Rule of capture—a landowners legal right to pump and capture groundwater or runoff before it enters a stream. Run—a portion of a stream that has a fairly uniform flow and generally smooth surface water, with the slope of the water surface generally parallel to the overall slope of the section of stream. Runoff—precipitation, snow melt, or other water that flows onto the land but is not absorbed into the soil. Saltwater—water with about 3.5% salt content; ocean water or seawater. Saturated—soaked with moisture; having no pores or spaces not filled with water. Scale—any of the small, stiff, flat plates that form the outer body covering of most fish. Scavengers—animals that eat the organic material of dead plants and animals. Scraper—an aquatic invertebrate that has special mouth parts they can use to remove algae or other food material growing on the surface of plants or solid objects; the mouth parts act like a sharp scraper blade. Seafood—any sea life used by humans as food; includes fish and shellfish. Seagrass—submerged rooted aquatic plants that tolerate salinity. Sediment—silt, sand, rocks and other matter carried and deposited by moving water. Sedimentation—the process of particles carried in water falling out of suspension; deposition of silt, sand, rock, and other matter carried by water. Seeps—places where water oozes from springs in the ground. Shellfish— aquatic invertebrates with exoskeletons used as food, including various species of mollusks and crustaceans, such as crabs, shrimp, clams, and oysters. Shipping lane—regular routes used by ocean going ships. Shredder—an aquatic invertebrate such as a stonefly nymph that feeds by cutting and tearing organic matter. Silt—tiny specs of dirt, sized between sand and clay particles, that can be suspended in water or fall out of suspension to cover plants and the bottom of lakes or pool sections of rivers and streams. Slough—a backwater or secondary channel of a stream. Spawn—the process of releasing eggs and sperm, usually into water by aquatic animals, including fish. Species—a group of related individuals sharing common characteristics or qualities that interbreed and produce fertile offspring having the same common characteristics and qualities as the parents. Sport fisherman—an angler who catches fish for personal use or recreation, rather than to make a living. Spring—a place where groundwater flows to the surface of the Earth; where an aquifer meets the ground surface. Stakeholder—an individual, group of people, or organization that has an interest, concern, or will be affected by an action or issue. Stock, stocking—introduction of fish to a water that have been produced elsewhere; to add a new species to a water body or increase the number of individuals of a fish species already present in a water body. Storm surge— a rise in the height of ocean water associated with high storm winds pushing against the ocean water; flooding caused by high ocean waters in coastal areas. Stream—a body of flowing water. Stream bank—the shoulder-like sides of the stream channel from the water’s edge to the higher ground nearby. Streambed—the bottom of a stream or river channel. Stream flow—water flow in streams. Structural trait—how an organism is built; the internal and external physical features that make up an organism. These features include shape, body covering and internal organs and can determine how an organism interacts with its environment. Stygobite—an aquatic species that lives totally in groundwater ecosystems and do not exist in waters above the ground surface; an aquatic troglobite. Stygophile—an aquatic species that can live in aquatic environments above and below ground; an aquatic troglophile. Stygoxene—an aquatic species that uses underground waters for temporary purposes or that accidently gets swept underground; an aquatic trogloxene. Subsidence—a lowering, compaction, or collapse of the ground surface caused when large amounts of groundwater are withdrawn from an aquifer. Surface water—precipitation that runs off the land surface and is collected in ponds, lakes, streams, rivers, and wetlands. Swamp—a wetland in which trees or woody shrubs predominate. Swim bladder—an air-filled sac near the spinal column in many fish species that helps maintain the fishes’ position in the water column. Tardigrade—also known as waterbears, they are small (about 1 mm long), water-dwelling, segmented animals with eight legs; they are known for being able to survive in extreme environments. Thermocline—the part of a lake’s water column where water temperature changes rapidly from warm to cold; the layer of water in between a lake’s epilimnion and hypolimnion. Tides, tidal—the rise and fall of sea levels caused by the rotation of the Earth and the gravitational forces exerted by the Earth, moon and sun on the ocean. Toxic algae bloom—an algal bloom that causes negative impacts to other organisms due to production of natural toxins by some species of algae. Transmission rate—speed at which water can move through or into an aquifer. Transpiration—the passage of water through a plant to the atmosphere. Tributary—a stream that flows into a larger stream or other body of water. Troglobite—a species that lives in caves and can’t live anywhere else. Troglophile—a cave-dwelling species that may complete its life cycle in a cave, but can also survive in above ground habitats. Trogloxene—a species that uses caves for temporary purposes or that accidently gets swept underground. Trophic level—a group of organisms that occupy the same position in a food chain; each step of an energy pyramid. Tunicate—a group of marine filter-feeding organisms that have a sac-like body; most species attach to rocks or other hard structures on the ocean floor, while some are pelagic (free-swiming); commonly called sea squirts. Turbulent flow—water flow where water at any point is moving in many different directions at once and at differing velocities. Turbid—water that is so full of small particles, such as silt, that the water is no longer transparent but instead appears cloudy. Turnover—where nutrient rich water from a lake’s bottom rises to the surface and oxygen rich water from the surface sinks to the bottom, and mixing of all layers occurs in spring and fall in lakes in cold climates due to water temperature changes. Unconfined aquifer—an underground reservoir of water that is directly connected to the surface and has water levels dependent on relatively constant recharge. Unicellular—an organism that consists of just a single cell; this includes most life on Earth, with bacteria being the most abundant. Wastewater treatment facility—a place that treats waste water from homes and businesses, such as toilet or sewage water. Water pollution—an excess of natural or man-made substances in a body of water; especially, the contamination of water by substances that are harmful to living things. Water quality—the fitness of a water source for a given use, such as drinking, fishing or swimming. Water table—the surface of the subsurface materials that are saturated with groundwater in a given vicinity. Watershed—all the land from which water drains into a specific body of water. Watershed address—the watershed, sub-watershed, and sub-sub-watershed that includes a particular location. Wetland—a low-lying area where the soil is saturated with water at least seasonally, and supports plants adapted to saturated soils. Zooplankton—animal plankton, including single-celled and complex multicellular organisms.